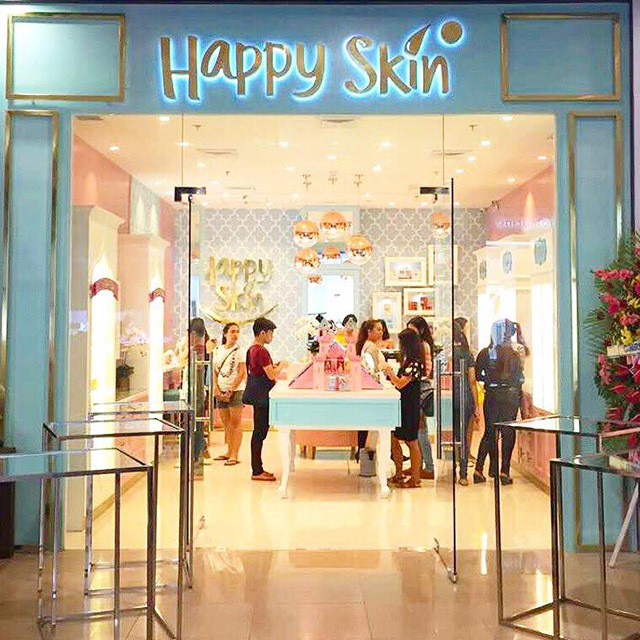 Happy Skin Cosmetics was established in October 2013 by two partners with just five retail stalls, and a very clear objective. Today, it seems their hard work is paying off. Just four years later, they already have almost a hundred outlets nationwide. 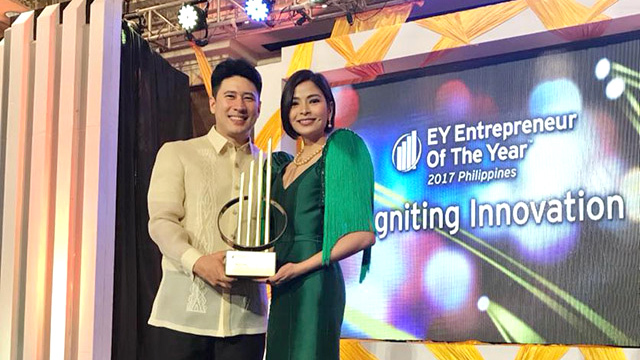 Moreover, Mananquil-Trillo, who’s also the chief brand officer, won the 2017 Woman Entrepreneur award at the Entrepreneur of the Year Philippines (EOYP) search by global accounting firm Ernst & Young and SGV & Co., the country’s biggest accounting firm. How did she do it? Here are five lessons every entrepreneur can learn from Mananquil-Trillo’s entrepreneurial journey. Mananquil-Trillo has been a model long before she started Happy Skin. She even served as the president of Professional Models Association of the Philippines for five years. Apart from that, she was also a beauty and fashion advice columnist for a local newspaper. These experiences gave Mananquil-Trillo a sense of what she really wanted to do with her life and career. “It has always been my dream to create a makeup line that takes good care of skin and celebrates Filipina beauty,” she said in an audio-visual presentation shown at the EOYP awards banquet in Makati Shangri-La last October 18, 2017. Mananquil-Trillo met Yuengtian-Gutierrez when she was still a model. Collaborating on several projects made them realize they worked well together. Since they have the same dreams and passion, it didn’t take long before the two decided to put their combined knowledge and determination to put up Happy Skin. When the duo started Happy Skin, launching their own makeup line was not the only goal they had in mind. “I wanted to be able to create products I can swear my life on, and hearing about women's beauty frustrations inspired me to create Happy Skin,” Mananquil-Trillo shared. Mananquil-Trillo shared that in her years of modeling, she often found her skin damaged due to excessive makeup use. Since the use of cosmetics is an inevitable part of her job, she was on the constant lookout for products in the market that take better care of her skin. Sadly, she found none. This was the problem she and Yuengtian-Gutierrez tried to solve. “Happy Skin is a fusion of skin care and makeup. We focus on skin care ingredients so that women's concerns are addressed and they can start enjoying the power of makeup,” she said. She added that Happy Skin products are suited to tropical weather, for the unique Filipina skin. Part of the reason the pair started Happy Skin was because there were no other local brands that offer genuine homegrown cosmetic products that take care of the Filipina skin. But that was part of their biggest hurdles to conquer as well. So from day one, Mananquil-Trillo and Yuengtian-Gutierrez already aspired to be a global Pinoy brand that the Filipinos will not be ashamed to use. They already pegged Happy Skin to be a “proudly homegrown with Filipino minds behind it, and committed to offer world-class quality,” as Mananquil-Trillo described. “I feel this is why businesses chose to collaborate with Happy Skin, because that meant they trusted us. And these collaborations are really a global stamp of approval on what the Filipino can do,” she added. Since there were no other local players in the market then, it was hard for the pair to turn their dream into reality. They had no one to pattern their products after or at least seek guidance from, since what they wanted to happen would be the first in the country. So, to achieve the world-class quality of products, they took time to study their market and the industry. They flew to neighboring countries that specialize in cosmetics such as South Korea, Taiwan and Japan to learn the trade. Then they formulated on their own to make it suitable for Filipinos. “Happy Skin was born to create and offer innovative products that are good for your skin. Each product promises to be of high quality, easy to use, approachable and non-intimidating. Thus empowering you with confidence and effortless beauty and delivering happiness,” Mananquil-Trillo said. Some of the popular elements of Happy Skin products are Japanese tea leaves, cherry blossom, hyaluronic acid, shea butter, collagen and Argan oil. While these may be found in other foreign cosmetic products, what makes it different for Happy Skin is that all the ingredients are especially tried and tested for the Filipina complexion. 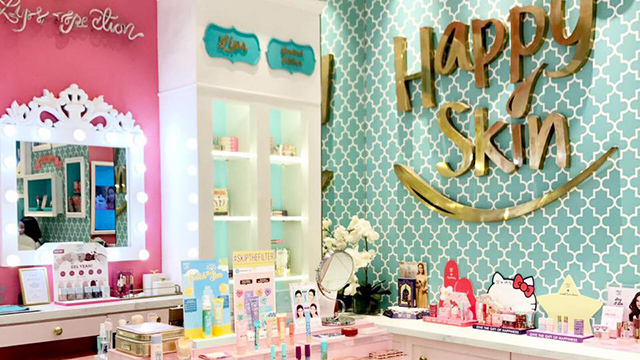 One of the factors that helped Happy Skin’s success is their presence on social media. Though they already put up brick-and-mortar stores, they didn’t stop with that and persisted in curating their online image. “Social media is a great equalizer. We don’t have big budgets, we can’t afford commercials or billboards but social media has become our strongest marketing tool. It gives opportunity to young, homegrown brands to make themselves known,” Mananquil-Trillo told Entrepreneur Philippines in an interview in July 2016. Their online presence introduced them to a wider network of potential customers. In fact, Mananquil-Trillo said that about four out of five customers who visit their physical stores discovered them through social media. As of November 2017, Happy Skin Cosmetics’ official Instagram page has over 173,000 followers.